Solid engineered wood flooring is both beautiful and long-lasting, provided that you ensure proper installation and maintain proper care over the years. 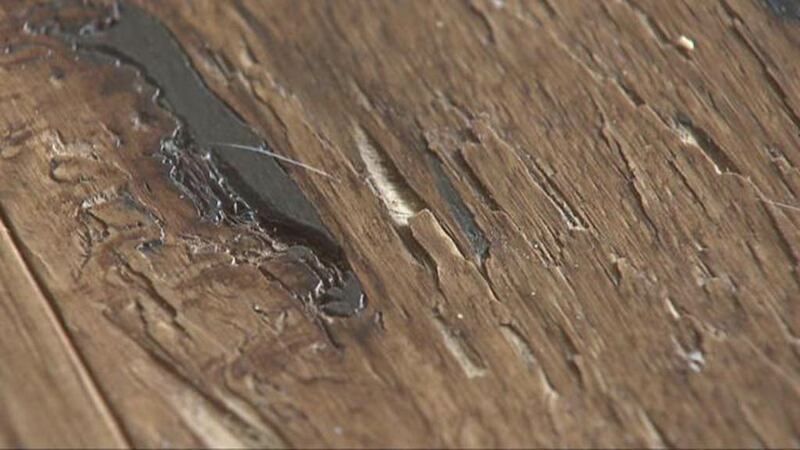 Missing pieces from your wood floor can cause splinters in feet and be extremely unsightly while devaluing your home. No matter what your builder says, splinters and missing pieces are not “normal” and won’t be cured by touch ups to the bare spots. The problem may have been caused by a flawed/damaged plank being installed, rubber mallets during the installation process, wear or bad maintenance practices. The excessive splintering and missing slivers of wood are consistent with a manufacturing defect and possible moisture-related issues on site at the time of the installation of the hardwood floors. The manufacturer will need to replace the damaged planks if splinters are a result from a manufacturer’s defect or the entire floor replaced if moisture-related. Spend time researching the product you are choosing. There is a lot of information online about the different types of flooring, so spend some time understanding all the potential pitfalls so that you can protect yourself against them. Make sure you get your information from knowledgeable wood flooring professionals – this is the best insurance against this type of problem.